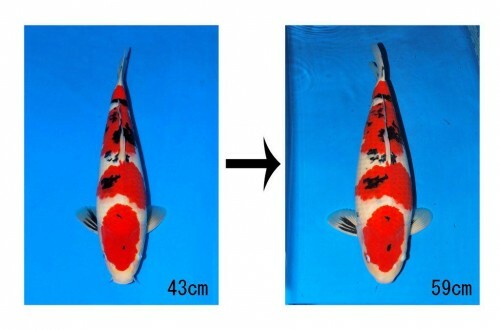 Sakai has started posting photos online of the koi that are going to be offered at the upcoming Jumbo Tosai Auction on April 6th. 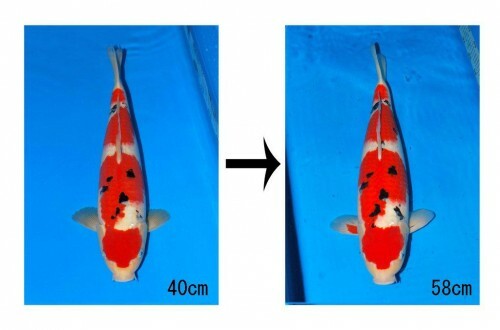 This entry was posted in Auction, Live Koi Auctions, Sakai Fish Farm on March 23, 2016 by koiadmin. Sakai of Hiroshima’s Autumn Auction was attended by over 80 koi dealers invited from all around the globe, with the top priced koi selling for over $80,000.00. 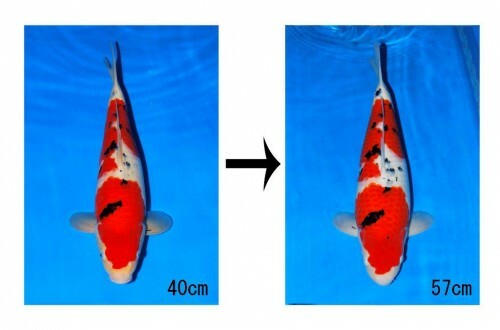 We did not get that one, but we were able to purchase a number of incredible koi, including the ones photographed below. 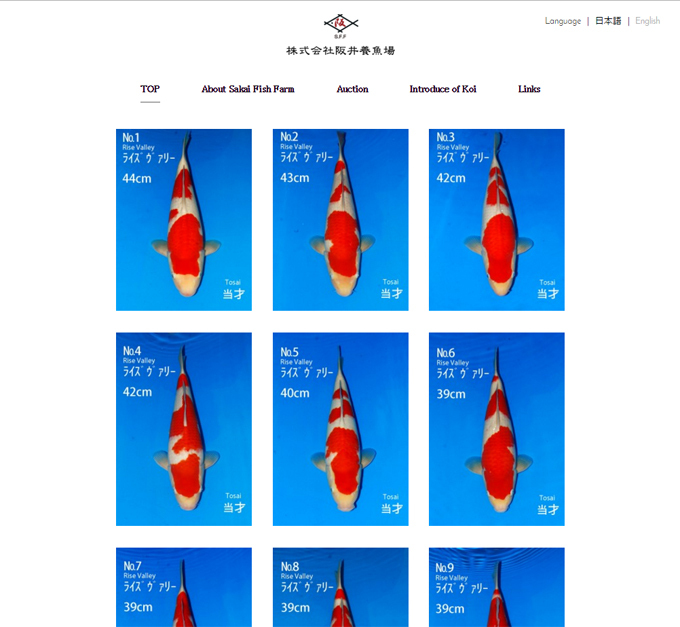 This entry was posted in Auction, Koi Event, New Arrivals, Sakai Fish Farm on October 18, 2014 by koiadmin. Pan Intercorp is proud to host an unprecedented Grow-out Competition featuring World Class Gosanke bred by Sakai of Hiroshima. The venue for this Grow-out will be in the actual Sakai mud ponds at their world famous facility in Hiroshima Japan. 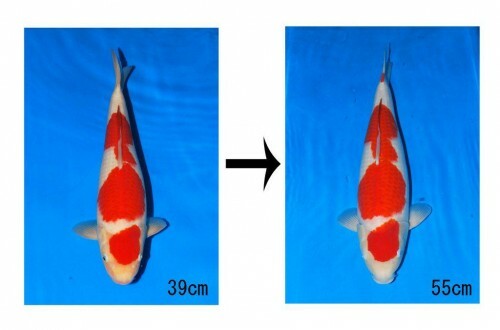 This Growout features Certified Jumbo Tosai Kohaku from Sakai’s world famous Rose bloodline, Certified Jumbo Tosai Sanke from Sakai’s unparalleled Sanke bloodlines, and Certified Jumbo Tosai Showa from Sakai’s exciting Ninja bloodline. Jumbo Tosai participating in this Competition have been Guaranteed Female*. All will be released into the mud ponds in Hiroshima in mid April, and will emerge from this intensive growth environment in the fall of 2014. All participants are invited to visit Sakai Fish Farms in Hiroshima Japan in late November, when the contestants will be entered into an exhibition hosted by Sakai. Each of the grow-out koi will be judged by SFF Managing Director Kentaro Sakai and SFF President Yoshimichi Sakai, and awards will be presented. 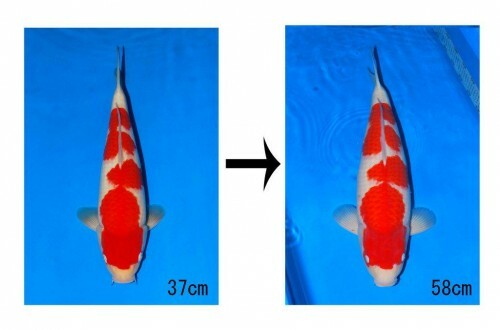 *Guaranteed Female: Guaranteed female means that, at the time of selection, the koi has been carefully inspected by the breeder and has been determined to be female. 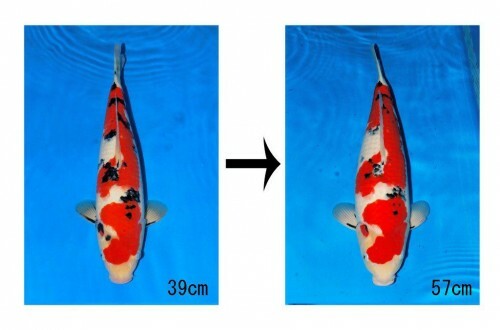 When the same koi is harvested in the fall, it will again be carefully inspected to confirm it’s femininity. 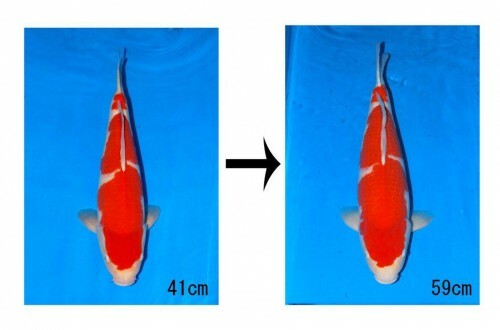 In the unlikely event that the koi should turn out to be a male at this point, it will be replaced with a female sibling of similar quality as selected by the breeder. This is the definition of ” Guaranteed Female”. 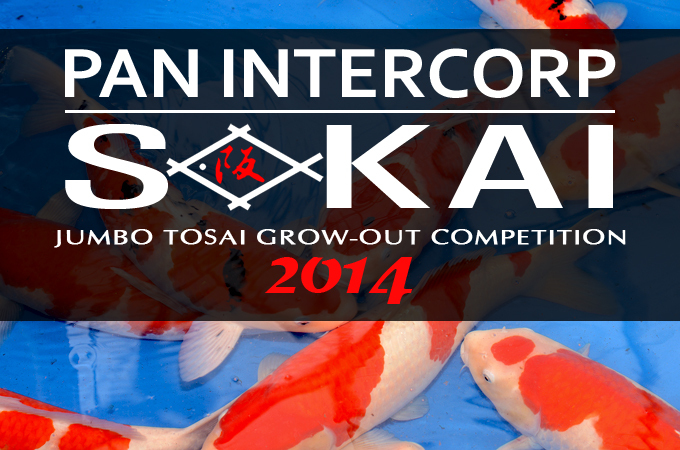 Please note that this grow-out competition is taking place in Japan at the Sakai Fish Farm facility in Hiroshima. Participants may make their selection from Jumbo Tosai that will be offered at Sakai’s upcoming Spring Auction. Jumbo Tosai available at this auction will be photographed and posted online in the weeks preceding the auction. Don’t forget to check back frequently as new photos of Jumbo Tosai will continue to be added in the days leading up to each of the auctions. 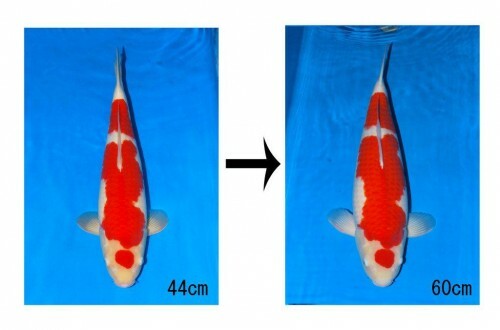 Participants may also make their selection from a number of Certified Female Jumbo Tosai that will be made available outside of the Auction on www.koi.com/sales . This selection will not be available until April 18th 2014 and will be offered on a first come first served basis. Availability may be limited. Participation is open to koi lovers the world over. 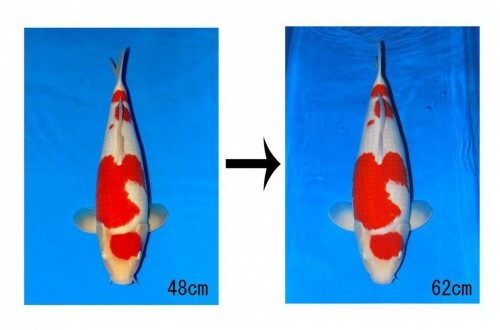 Purchase price includes the cost of the koi, the cost of boarding the koi at Sakai of Hiroshima, and entry in the November Exhibition at Sakai Fish Farms. All other expenses will be for buyer’s account. All sales are final. Participants will be deemed to have accepted all responsibilities and risks for their purchases at the time of purchase. Participants will have the opportunity to have their koi shipped to them in late fall 2014 or they may elect to continue to board their koi at SFF. 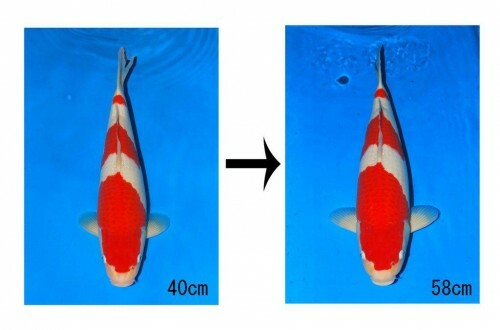 Boarding charges will apply to koi kept at SFF after 12/30/2014. Winter boarding in heated Greenhouses is available at SFF. Call for details on boarding fees. 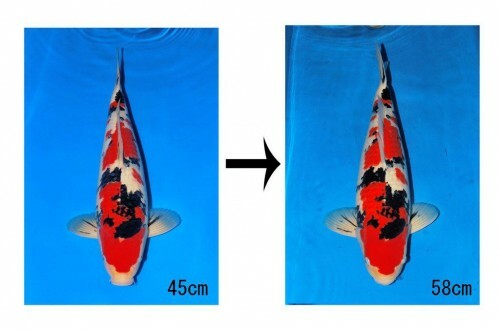 Call us toll free at 1-800-827-5819 or email pan@koi.com for information on how to place your bid to purchase one of these World Class Koi. Don’t miss out on this chance of a lifetime! 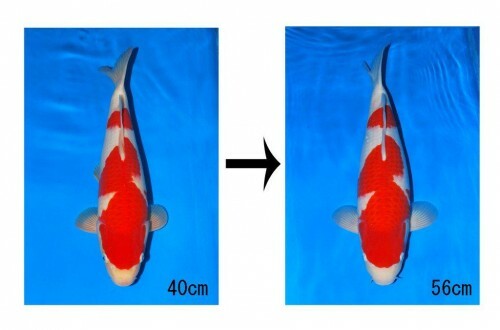 This entry was posted in Auction, Koi Event, Live Koi Auctions on March 19, 2014 by koiadmin.